Rototilt is broadening its Compactor product line and launching a new model C34 for excavators with machine weights between 6–12 tonnes. The C34 compactor has a vibration force of 3400 kilograms and can handle high back-pressures on the return line, a characteristic that makes it suitable for use with Rototilt's R2 and R3 tiltrotators. Rototilt now offers 4 Compactor models covering excavators from 3 to 30-tonne capacity. 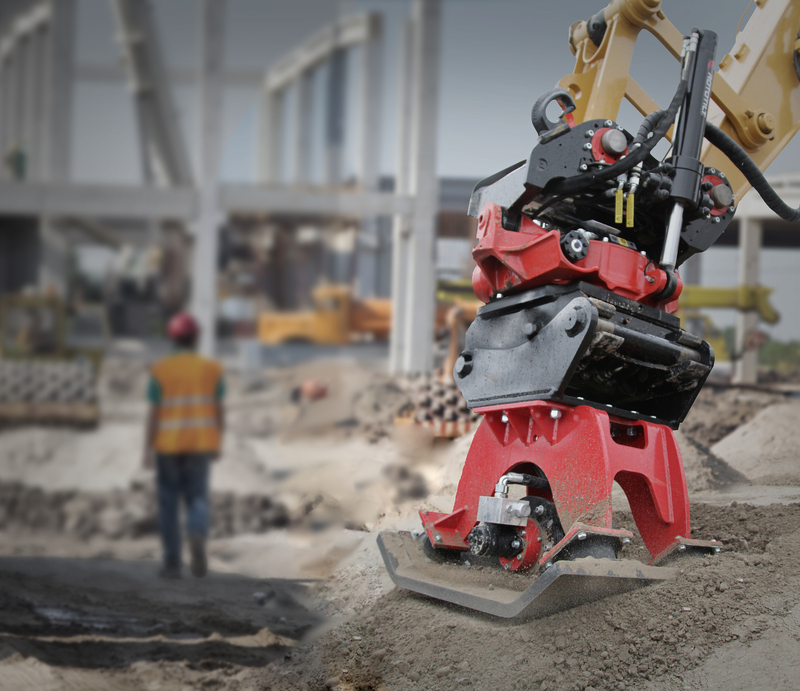 Rototilt's tiltrotator system has it all – from control systems and tiltrotators to tools and accessories. This ensures full functionality in all operations.